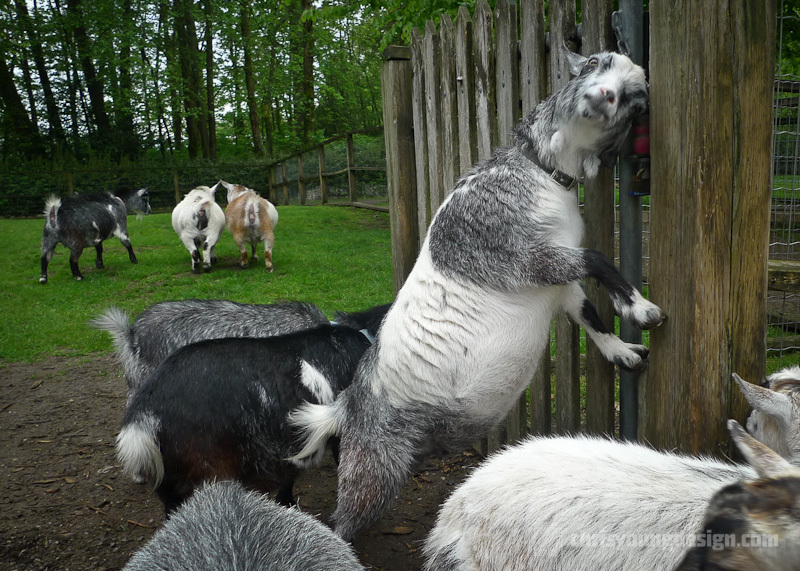 Just a goofy photo of a Pygmy Goat striking a pose at Maplewood Farm in North Vancouver. When he scratched his head on the fence, he’d stop and hold this position each time I pointed the camera at him. You’re allowed to go right into their pen and walk around with them – just watch out for the ones that like to eat your shoelaces, or anything they can get near their mouths. Maplewood Farm in North Vancouver. If you have young kids, or you just like animals, it’s a must see – Katie and I go there at least a couple times each year. Aim to visit the farm early May if you want to see any of the new babies at the farm.